The ways you plan to work with your data create important constraints in the process of looking for existing data or in the process of gathering data. When working with a librarian to find data, it helps to be able to answer questions about how you will be working with the data after you've found it. The purpose of this page is to highlight the range of resources available for working with data at different stages of the process. You can use these resources to learn more on your own, or seek help from professors or other campus resources who can provide more in-depth assistance. The DataSquad can consult on appropriate software for cleaning, wrangling, analyzing, and visualizing your data. OpenRefine allows you to tidy and modify your data in a simplistic way while not having to learn much, if any, programming. The three six-minute tutorials on this page will teach you how to easily modify the whole dataset with just a few quick commands. Collectica (an Excel add-on) and TableauPrep are good alternatives. A video with a link to download a cheat sheet for using dplyr and tidyr packages to tidy up your dataset. This tutorial will teach you how to organize your data using Python, under an organization called tidy data. This resource requires a strong understanding of Python, but it’s very powerful. You will need to be able to use a Jupyter notebook for this tutorial, or be able to run Python on your computer. In this tutorial, you will learn a consistent way to organize your data in R, an organization called tidy data. Once you have tidy data and the tidy tools provided by packages in the tidyverse, you will spend much less time munging data from one representation to another, allowing you to spend more time on the analytic questions at hand. You will need to have RStudio installed and know how to use R.
These beginner tutorials are primarily aimed at students who have never coded before or are trying to learn a new programming language. Don’t know what a main function is? Don’t know what a method is? This is for you. It links to several tutorials and books that are geared towards students who have never programmed before. Make sure you learn Python 3, not Python 2. It's more relevant in the world today. This is a brief tutorial that will teach you how to use the statistical programming language R. It is geared towards people who know another programming language already. I recommend taking CS 101 at Carleton, or taking a course such as Python from Codecademy. This is a 2 ½ hour introduction to the R statistical processing language, including how to install R on your computer, read data from SPSS and spreadsheets, and use packages for advanced R functions. The course continues with examples on how to create charts and plots, check statistical assumptions and the reliability of your data, look for data outliers, and use other data analysis tools. Finally, learn how to get charts and tables out of R and share your results with presentations and web pages. Manuals for SPSS are electronic only and can be found on Collab at the following path: Courses\Tools\SPSS Manuals. Manuals for Stata are print only. 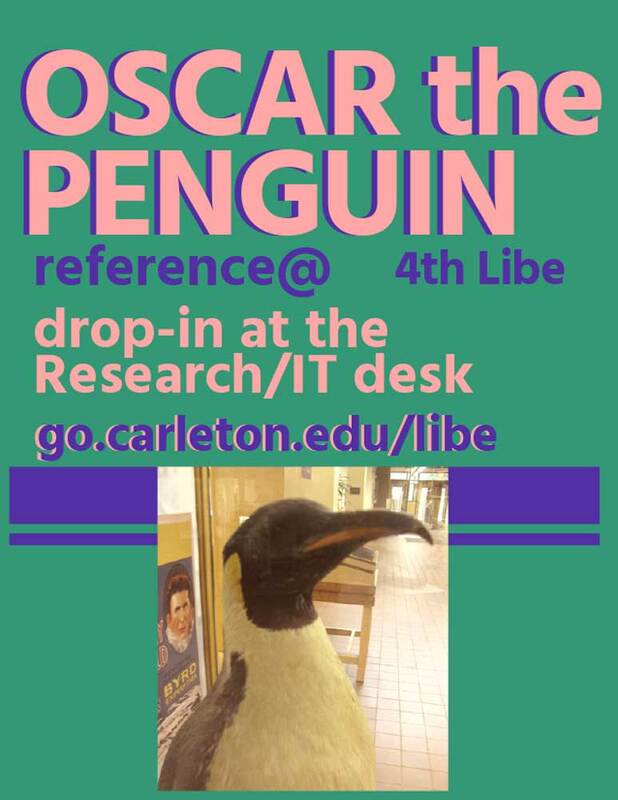 There is a set in the Reference Room, 4th floor Libe, in the small wooden bookshelf near the Research/IT Desk.